The Brave Frontier x Hatsune Miku collaboration continues! 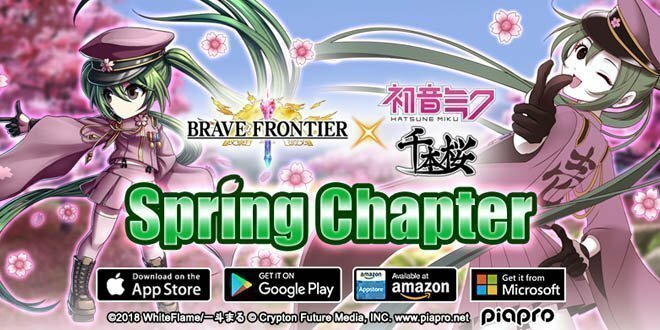 Explore a lineup full of entirely new and exciting events in this Brave Frontier x Hatsune Miku Spring Chapter collaboration! Brace yourself for stunning new units, dungeons, and rewards — including 5 Gems and 1 Summon Ticket! Login daily to collect rewards from the Brave Frontier x Hatsune Miku Spring Chapter collaboration! Receive various rewards including Elementum Tomes, 5 Gems, and even a Summon Ticket! Check out the list of rewards below! Tune your ears to the VOCALOID sensation taking over Grand Gaia during this Brave Frontier x Hatsune Miku Spring Chapter collaboration! 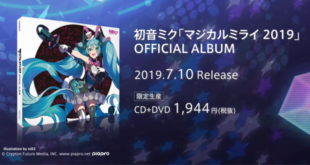 Meet Senbonzakura Miku as she makes her debut together with returning Mankai Sakura Miku during this special collaboration period! Senbonzakura Miku has both a 7* and an Omni rarity! You can check out the details on her Omni rarity here and her 7* form here. Summoners! A visitor has come to admire the scenery of Grand Gaia. Join her as the sakura blooms to the Chorus of Spring! 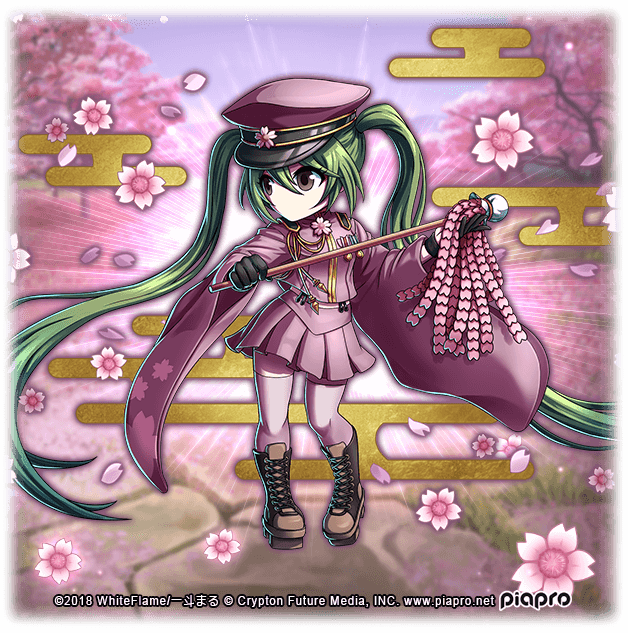 Experience a lovely Spring with Senbonzakura Miku at the Vortex Gate as we open the Chorus of Spring collaboration dungeon! 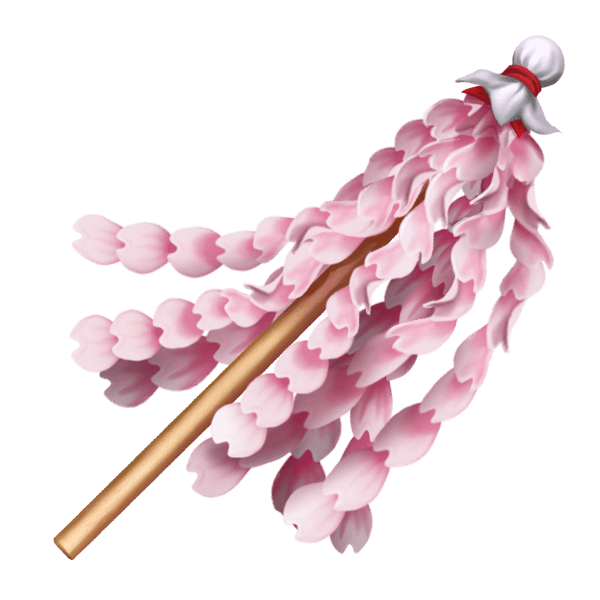 Bring any of the VOCALOID collaboration units (KAITO, Luka, MEIKO, Rin, Len, Miku) to Chorus of Spring and receive 5 additional bonus Sakura tokens for each unit! 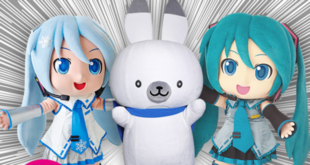 Gather up those tokens and redeem awesome rewards from Spring Miku Event Bazaar! This strange petal-embellished artifact is used by shrine maidens from a faraway land. While it can drive away evil spirits with a simple swish, its true potential can only be brought to life by those gifted with heavenly voices and ethereal melodies. Here are the available items for exchange in the Event Bazaar! Ready yourself for the Spring Miku Milestone Campaign! 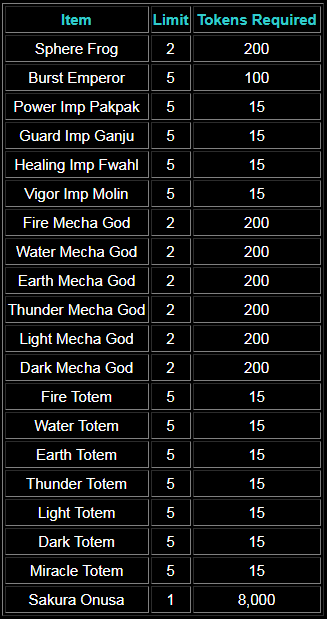 Work together with other fellow Summoners! Continuing from the previous milestones, clear Chorus of Spring dungeon as many times as you can to unlock the remaining milestones that will reward you with Geminus Tomes and a Summon Ticket! 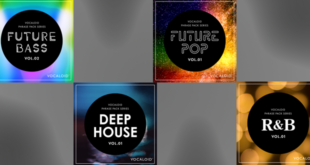 Previous Quadimension Announces New Voice Synth, Hai Yi!